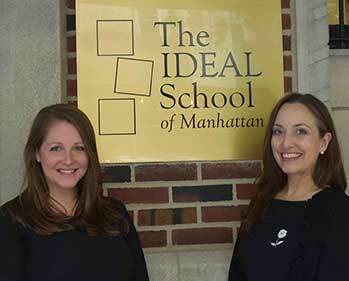 Thank you for your interest in The IDEAL School of Manhattan. IDEAL opened its doors in 2006 with 20 students in kindergarten through second grade and has grown to become a fully accredited K-12 school. We embrace diversity in children and their families at IDEAL, and we believe the best education occurs in an inclusive school setting. At IDEAL, no one leaves their identity at the door. We support each student’s positive identity through our multicultural curriculum, by directly addressing the impact of stereotyping, bias, and discriminatory behavior, and by encouraging cooperative learning. We celebrate students' individual differences and they grow into confident learners primed to reach their full potential. Our dedicated and highly skilled teachers know each of their students in and out of the classroom, differentiate instruction to inspire achievement and growth, and believe in the ability of all students to achieve excellence. Through IDEAL’s challenging, research-based curriculum and innovative teaching frameworks, students build the repertoire of knowledge and skills they need to become lifelong learners. Together, this commitment to academic excellence, diversity, equity, and social justice cultivates student voice, creates self-confident children, and develops students who not only have the tools to succeed but who also are inspired to improve their world. The right school for your child is one that resonates personally with them as a learner and as an individual, and one that provides a community that echoes your family values. We encourage you to contact us with questions about IDEAL. The best way to understand IDEAL is to see for yourself how each individual student is engaged, challenged, and supported throughout the day. We hope you will join us at one of our Tuesday Talk and Tours or April Open Houses to see the IDEAL Difference in action. Thank you for visiting our website. We look forward to getting to know your child and to exploring the possibility for your family to join ours.